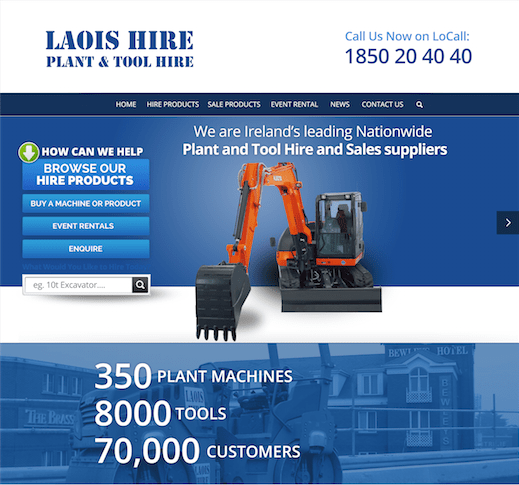 Laois Hire are Ireland’s leading Nationwide Plant and Tool Hire and Sales suppliers. From ladders to powered access, drills to high volume pumps, and VMS to excavators, you can hire all your project equipment from the one place. Laois Hire offer fast delivery, usually same day delivery. In the unlikely event they don’t have the required item, they will source it and get it to you within 24 hours, where possible. Laois Hire have a national pricing policy and operate local flexibility to ensure their renowned competitive position is maintained. They will ensure the hire process is hassle free from start to finish.